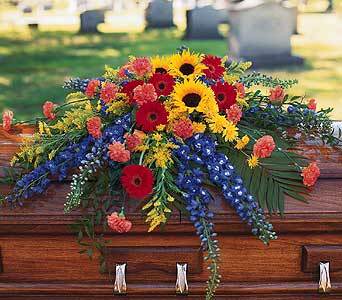 Pay tribute to a colorful, rich life with this casket spray of summer flowers. One casket spray arrives decorated with radiating stalks of hybrid blue delphinium and clusters of red gerberas, yellow sunflowers and orange carnations. Page loaded in 0.561 seconds.